Recently trained Shebab fighters at a military exercise in northern Mogadishu's Suqaholaha neighborhood on January 1, 2010. U.N.: Fighting involving government forces and militias, combined with "general insecurity"
(CNN) -- In just the past 19 days, an estimated 63,000 people have been displaced from their homes in Somalia by fighting involving government forces and militias, combined with "general insecurity," the United Nations' refugee agency said Tuesday. Some 14,000 of that number were displaced "from and within" Somalia's capital, Mogadishu, in the past two weeks, U.N. High Commissioner for Refugees spokeswoman Roberta Russo said in a news release. Fighting in the city on January 13 between government forces and members of the Al-Shabaab and Hisb-ul-Islam militias resulted in the death of at least 10 people, some of them children, she said. In addition, the government-aligned Alu Sunna Wal Jamma militia battled Hisb-ul-Islam fighters around Belet Weyne in central Somalia on January 9, with reports of at least 30 civilians killed and 50 wounded, she said. "Thousands of people have been forced to flee from their homes and an estimated 11,900 have temporarily settled around Belet Weyne in appalling conditions," Russo wrote. There are already another 50,000 internally displaced people in the surrounding Hiraan region, bordering Ethiopia, she said. The refugee agency also estimates that about 28,800 people have been displaced in the area around the town of Dhuusamareeb, in the Galgaduud region in central Somalia, and "are in urgent need of shelter, water and health care," she said. 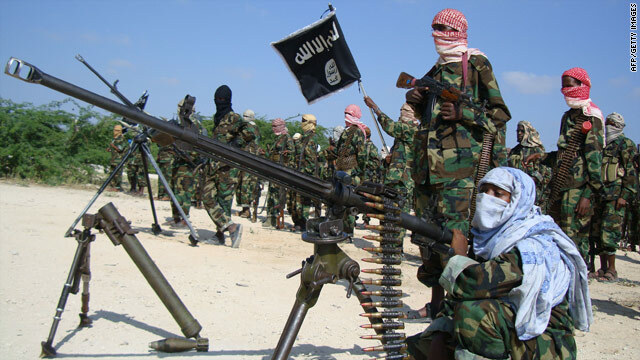 Clashes between Alu Sunna Wal Jamma and Al-Shabaab have flared up again in recent days in the region, Russo said, referring to "sketchy reports" of 150 people killed and 80 wounded in the fighting. "As the struggle for control of the territory continues, insecurity makes it extremely difficult for aid workers to access the area and deliver vital assistance," she wrote. She did not specify where the other estimated 8,000 people were displaced from. Somalia continues to be one of the worst humanitarian crises in the world, with some 1.5 million internally displaced people and more than 560,000 people living as refugees in neighboring countries, the refugee agency says, mainly in Kenya (309,000), Yemen (163,000) and Ethiopia (59,000).